Blue shoulder split cowhide wide body and reinforced thumb. 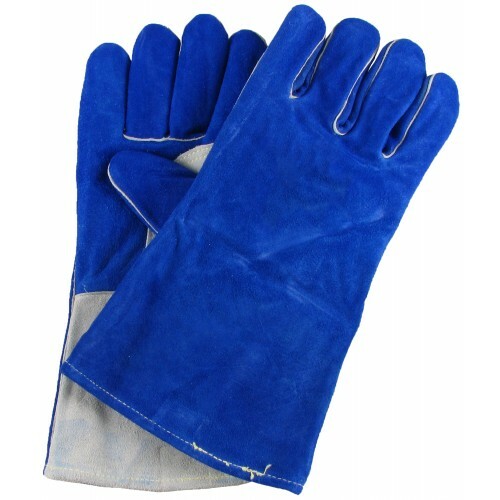 This glove is made of grade A selected shoulder split cowhide, and sewn with 3 ply KEVLAR. Size X-large.